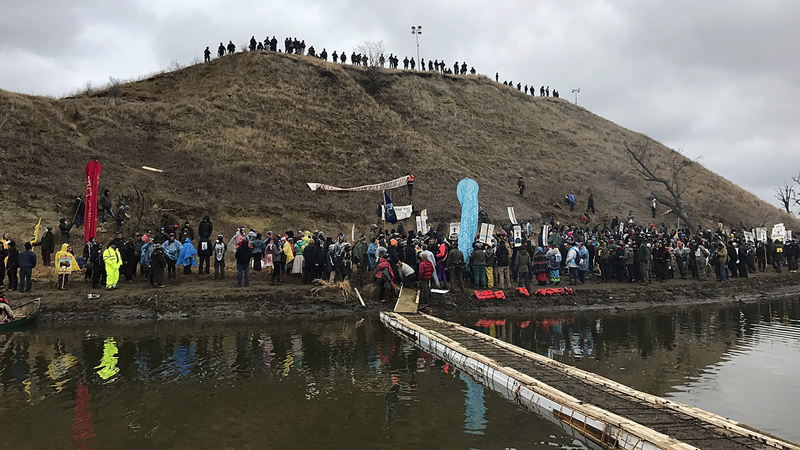 BISMARCK, N.D. -- The Army has notified Congress that it will allow the $3.8 billion Dakota Access pipeline to cross under a Missouri River reservoir in North Dakota, completing the four-state project to move North Dakota oil to Illinois. The Justice Department filed court documents Tuesday including letters to members of Congress from Deputy Assistant Army Secretary Paul Cramer. The Army intends to allow the crossing under Lake Oahe (oh-AH'-hee) as early as Wednesday. The crossing is the final big chunk of work on the pipeline. The Standing Rock Sioux tribe worries a pipeline leak could pollute drinking water. It's promised to continue legal challenges. Dallas-based pipeline developer Energy Transfer Partners says the pipeline is safe.